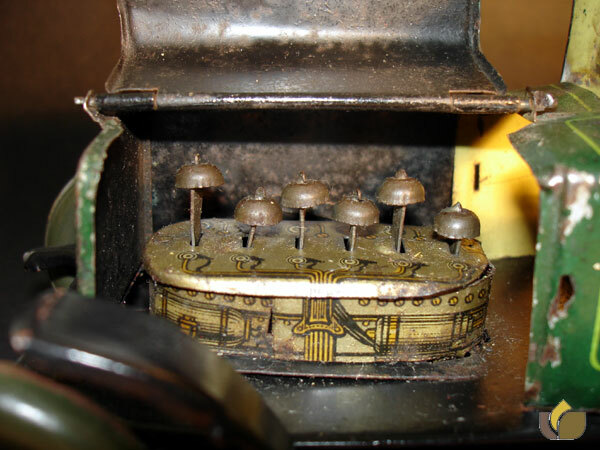 Top is the double hinged hood that when opened reveals the 6 working cylinders that move up and down when the car is driving along by its clockwork motor. 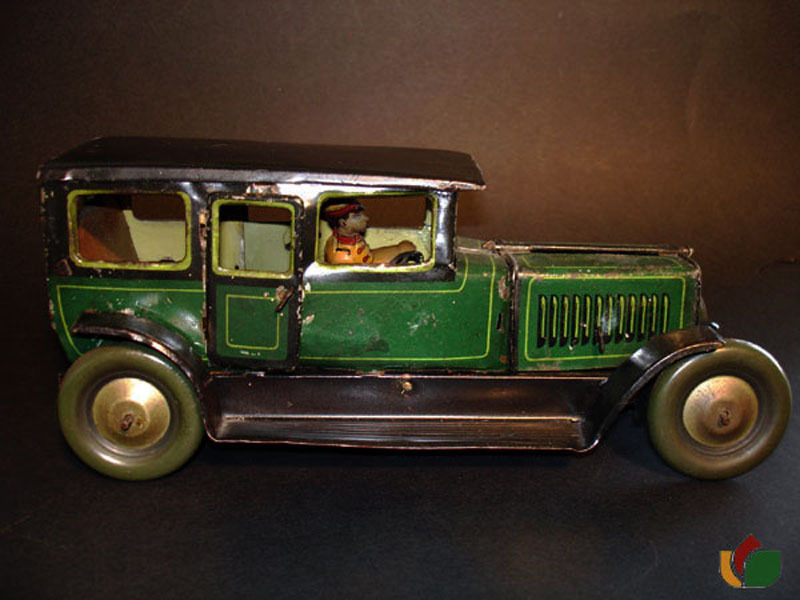 Key wind -key is permanently attached to the toy.9 1/2" long has a driver inside the car,2 doors open and close with tiny attached handles. Has a lever on the drivers side for the gears. Dark Green with Yellow pin stripping. The undercarriage has the litho tail pipe.Toy has forward -neutral -reverse. Very well taken care of- Spring works good- car has a lot of go power! pistons go up & down- doors open & close. 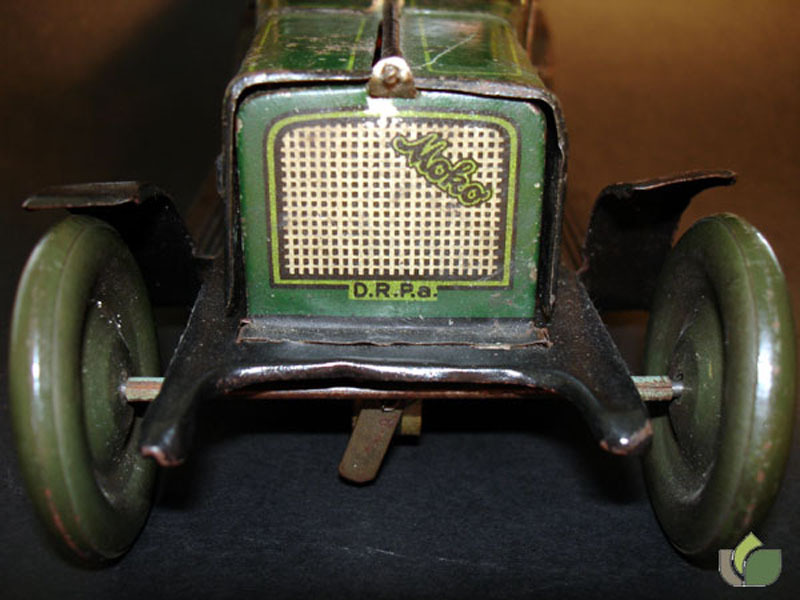 WONDERFUL EARLY TIN WORKING TOY.